A good first impression is everything. 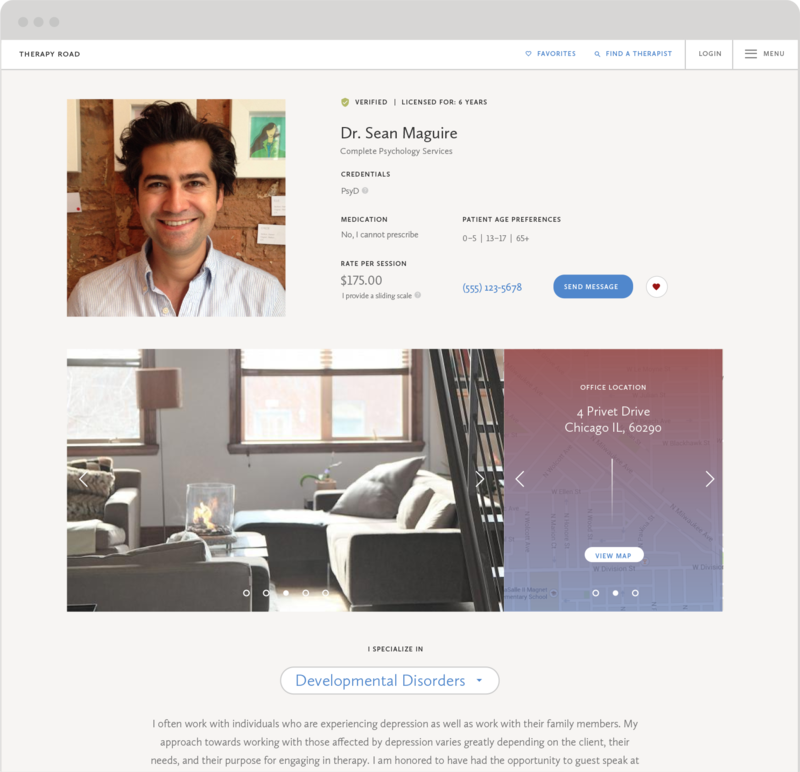 Our attractive profile layouts are designed to let you share more meaningful information about yourself and your practice. Upload multiple photos that express your personality and environment, elaborate on individual areas of focus, and get specific about your rates and insurance offerings. Read more about our therapist listing service below. Search for therapists by location, speciality, insurance, and age preference. Use multiple office addresses to broaden your visibility. Choose multiple patient age preferences. 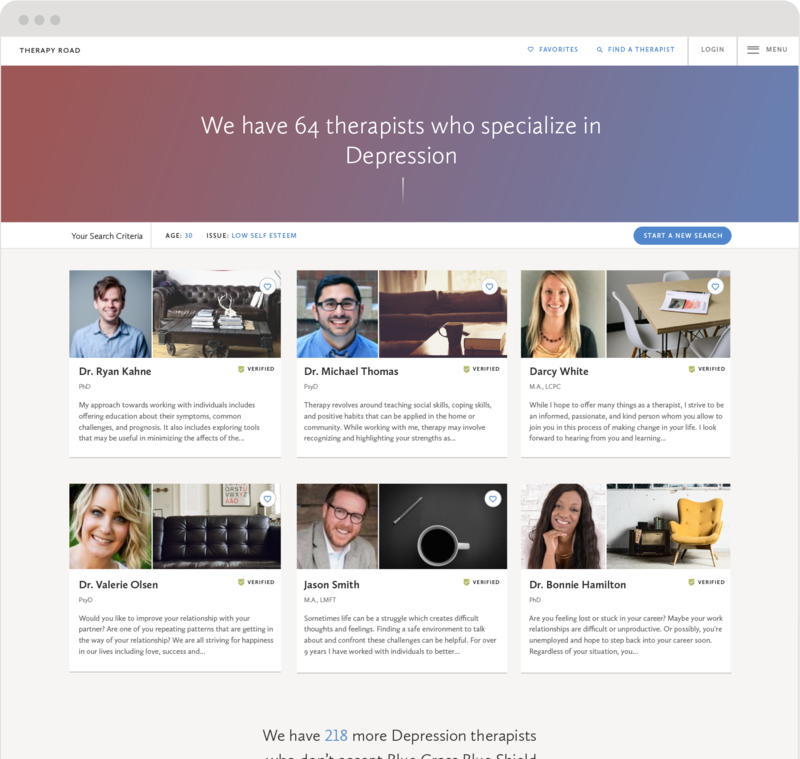 List your specific insurance offerings to help users find a therapist in their provider network. 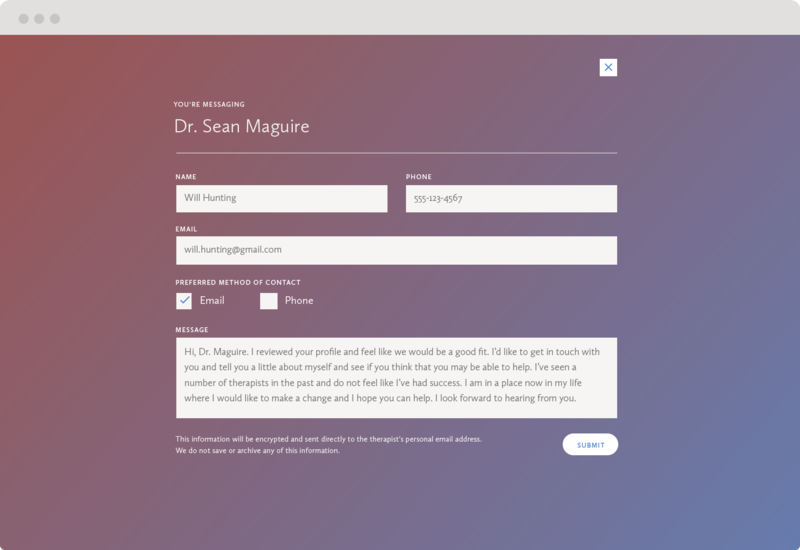 Our profiles are designed to help you make a great first impression. 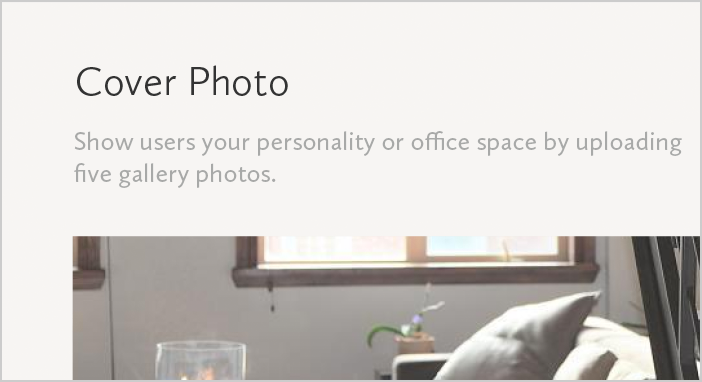 Express your personality by uploading multiple photos. Choose up to six areas of focus and share your experience and approach for each. Content is clean and organized to make information easy to find on any device. We pass user messages directly to your email inbox. Your won't be required to log into this site to manage or reply to messages. User messages are passed directly to your email inbox. Verified sending domain and sending addresses to ensure messages are delivered. Toggle your email availability and settings easily through your profile editor. We never save user messages to ensure confidentiality. 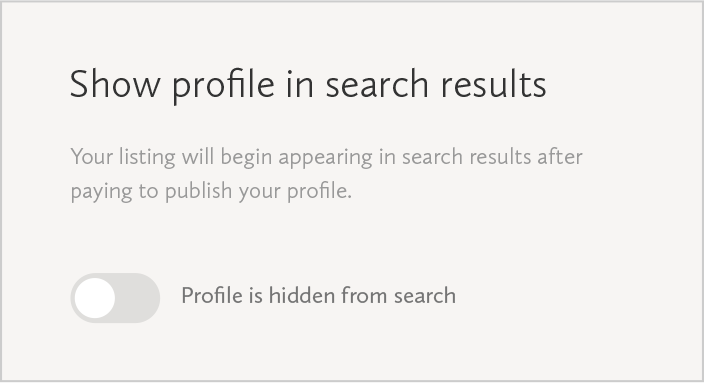 Control every piece of your profile including search settings, areas of focus, photos, and visibility. Toggle your profile's visibility in search if you are not accepting new patients or plan to be unavailable for an extended period of time. 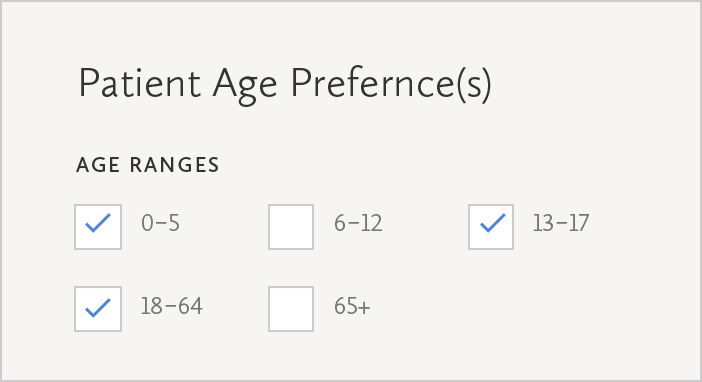 Choose multiple age preferences to help users find you based on their age. Describe each of your six areas of focus individually. Share your experience and approach to help build a good impression. 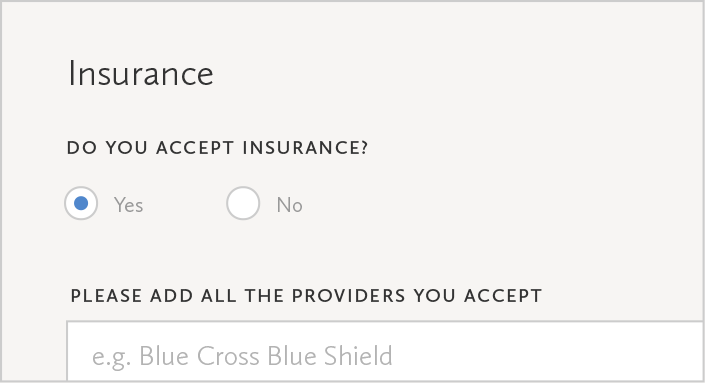 Choose each of your accepting insurance policies to help users find a therapist in their provider's network. Make a great first impression and express your personality by uploading multiple photos to your profile. List each of your office locations to help broaden your visibility during search. Start creating your profile for free. Pay only when you publish. Your email address will never be visible to site users. Messages submitted by users will be delivered directly to this email inbox. We will use your phone number and address to verify your profile. Your office address and phone will be public. 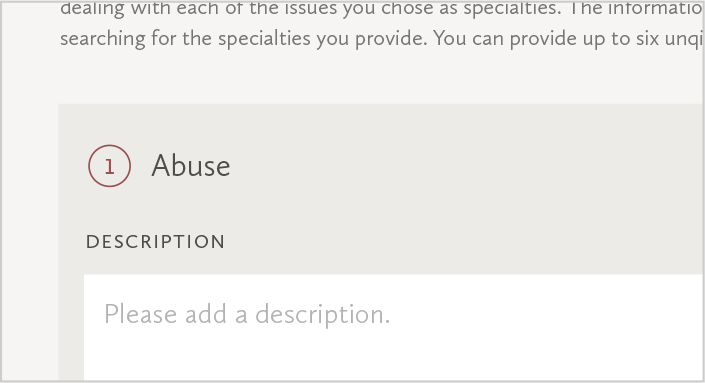 A total of three office addresses may be added to a single therapist profile. 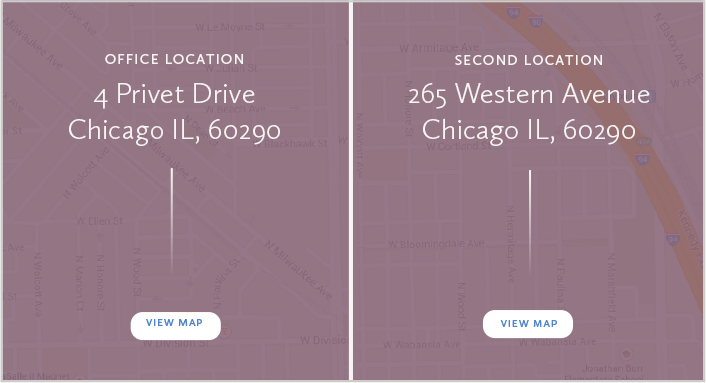 All three office addresses will be used during user searches to help broaden your reach. Our registration process is not supported by mobile devices. Enter your email address below and we'll send you more information about how Therapy Road works, and a reminder to register when you're near a computer. Click here to resend the confirmation email.